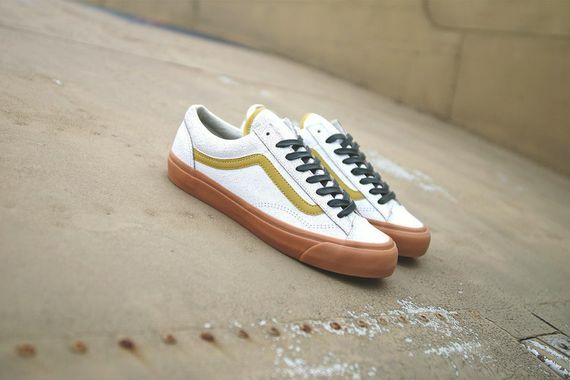 Sole Classics x Vans Vault Style 36 LX "SCFlyer"
Vans Vault and Sole Classics have joined forces to give the Style 36 LX an “SCFlyer” makeover. The jarring design sees these classics doused in white crackled leather with pungent stripes of “gold” accented by black laces sitting perched atop a thick gum outsole. If you’re feeling these stunners head over and score your pair March 14th.